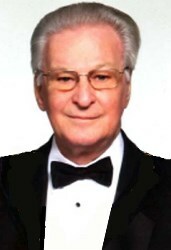 Distinguished Brother Edward H. Fowler, Jr.
Obituary for Edward H. Fowler Jr.
Edward H. Fowler, Jr., 86, of Belle Vernon, passed away Friday, September 28, 2018 in Jefferson Regional Medical Center. A son of the late Edward H. and Lauretta Huy Fowler, he was born in Venice, California on June 28, 1932. Formerly of Belleview, Ed, along with his late wife, Lois, had resided in Belle Vernon for four decades, and, for the past year, was a resident of the Masonic Home in Sewickley. He served in the United States Navy, having served two years on board the USS Dennis J Buckley DDR 808. He retired in 1991 from Alcoa as the Manager of Property, Sales and Excise Tax division, having had responsibility for the real estate tax assessments for Alcoa’s many real estate holdings throughout the United States and abroad. Having received many professional designations and certifications, Ed was a founding member and Past President of the Institute of Professionals and Taxation and an Associate Member of the Tax Executives Institute. Having been a lifelong active Mason, in 1992-93, Ed served as the Right Worshipful Grand Master of the Grand Lodge of Pennsylvania, Free and Accepted Masons, the oldest and largest grand lodge of the Masonic fraternity in the United States. In this capacity, he embarked on a pioneering project to offer leadership development skills to members of the fraternity throughout the Commonwealth. Additionally, he was the past presiding national officer of the Convent General, Knights of the York Cross of Honour, the Grand Council of Allied Masonic degrees of the United States of America, the Grand Council of Knight Masons of America, the Governor General of the York Rite Sovereign College of North America and the Provincial Grand Master of the Royal Order of Scotland for the United States of America from 1997-2014. One of his highest Masonic honors and privileges was to be the personal guest of HRH, Prince Edward, the Duke of Kent, Grand Master of the United Grand Lodge of England at the 275th Anniversary of organized Freemasonry and to be the only American to have been awarded the privilege of speaking this Event. He was an honorary member of the Grand Lodges of Alaska, Greece, Hawaii, Nevada and Portugal. For his Masonic service, he received numerous awards including the Bronze Medallion from the Chapel of Four Chaplains in Valley Forge Pennsylvania, and an honorary member of the Acacia fraternity. At the national level, Ed received the Knight Grand Cross, or its equivalent, in almost every Masonic organization of which he was a member and was instrumental in introducing several Orders into the United States through his leadership and influence. He was awarded the 33rd degree in the Ancient and Accepted Scottish Rite, the Legion of Honor from the Order of DeMolay and the Grand Cross of Colors from the International Order of Rainbow for Girls. Ed was a member and past presiding officer of Bellevue Royal Arch Chapter, Roland C Fisher Mark Lodge, Allegheny Council, Allegheny Commandery, Valley of Pittsburgh, Ancient and Accepted Scottish Rite, Keystone Priory KYCH, United States Premier Conclave Knights of the Red Cross of Constantine, Gateway to the West Council, Golden Triangle York Rite College, Transfiguration Tabernacle, HRAKTP, Pennsylvania College SRICF, Royal Order of Jesters Court No.2, The August Order of Light, Susquehanna Court Masonic Order of Athelstan, and the Mayflower Conclave Order of Pilgrim Preceptors. Additionally, he was a member of Syria Shrine, Bryn Athyn Quarry Assemblage, Saint George Prefectory #1 CBCS, Hermetic Order of Spiritual Knights among many other Masonic affiliations. After retirement, he continued traveling the world for his many Masonic endeavors and to enjoy sightseeing, photography and fine dining in more than 40 countries. He was a retired member of the Charleroi Rotary club, a member of the Sheriff’s Reserve for Allegheny County, a Member of the Philadelphia Priory Sovereign Military Order of the Temple, and was a Freeman of the City of London. Survivors include two nieces and four nephews: Karen Poziviak and Kitty Dzatko, Guy Hess, Fred Hess, David Coyne, Robert Coyne, and friends, Matthew and Susan Dupee. In addition to his parents, he was preceded in death by his wife, Lois Hess Fowler on March 17, 2014 and a sister, Lois Jean Coyne. Friends will be received from 7 to 9 P.M. Friday, October 5, 2018 in the Ferguson Funeral Home and Crematory, Inc., 700 Broad Avenue, Belle Vernon. 724-929-5300 www.FergusonFuneralHomeAndCrematory.com. Additional visitation will be in the funeral home from 8:30 to 10 A.M. Saturday. Masonic services will begin at 10 A.M. Saturday followed by funeral services with Rev. Matthew Stabe officiating. Entombment will follow in Belle Vernon Cemetery. If friends wish, tax deductible memorial contributions may be made to the Edward H. and Lois H. Fowler Charitable Trust, c/o Matthew Dupee, Esquire, P.O. Box 1266, Aiken, SC 29802.